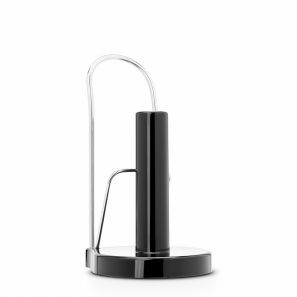 Take your kitchen paper to where it is actually needed with our mobile kitchen roll holder. Fitted with the unique 'roll-stop', preventing the paper from accidentally unrolling. It's very easy to fill and suitable for all standard sizes of kitchen paper.